The client feature is located on your sidebar. Clients are your customers that you will want to keep track of. 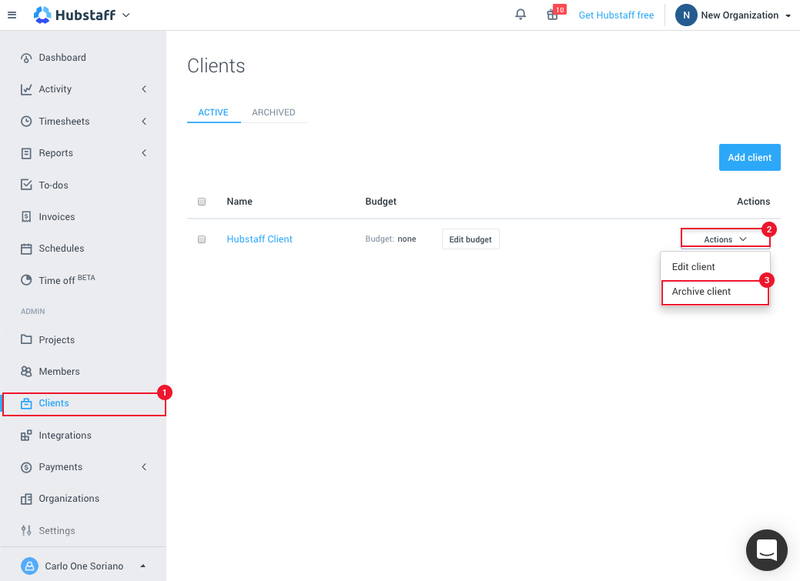 The clients you create here will be connected directly with the invoicing feature. Please click here to read how to invoice clients. Click on the Clients tab on the left sidebar and then select Add client. Enter in their Name, Email address, Physical address, and the Projects that are associated with them. 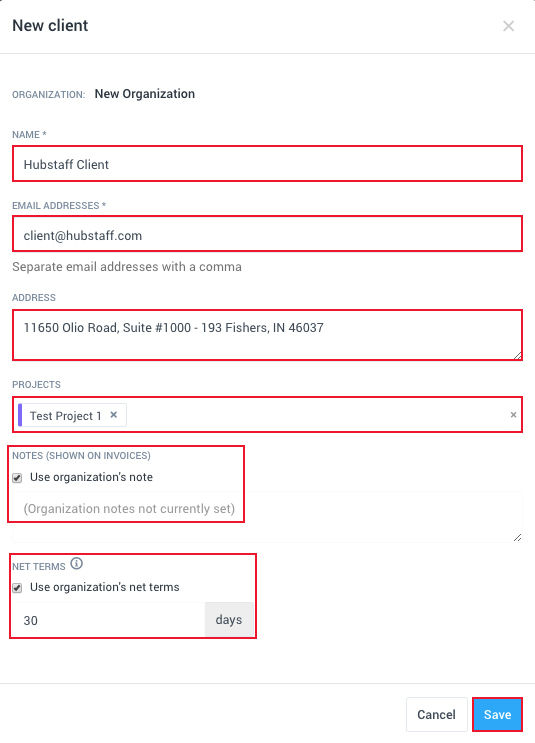 You can also add the notes shown on invoices, and your Net Terms (place a check mark on Net Terms if you have them defined on the organization settings) and then click Save. Click on the Clients tab on the left sidebar and then click on the Actions drop down menu to select Edit Client. 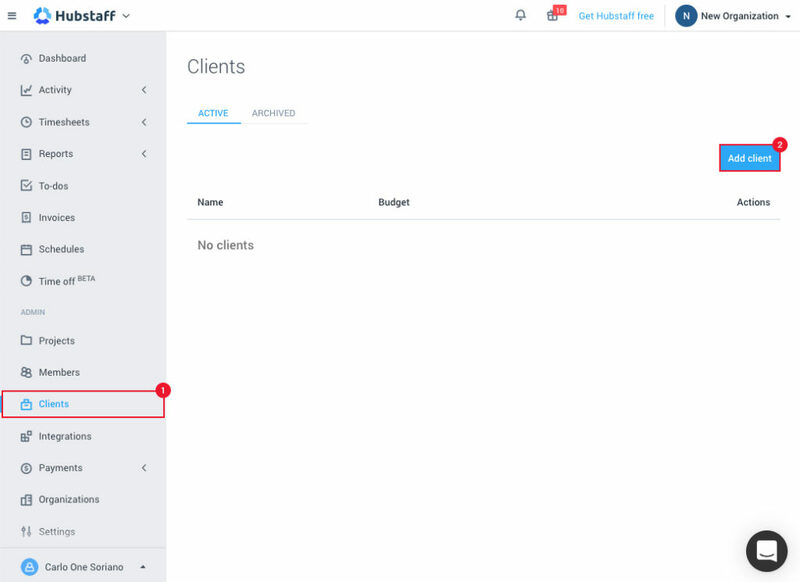 Click on the Clients tab on the left sidebar and then click on the Actions drop down menu to select Archive Client. 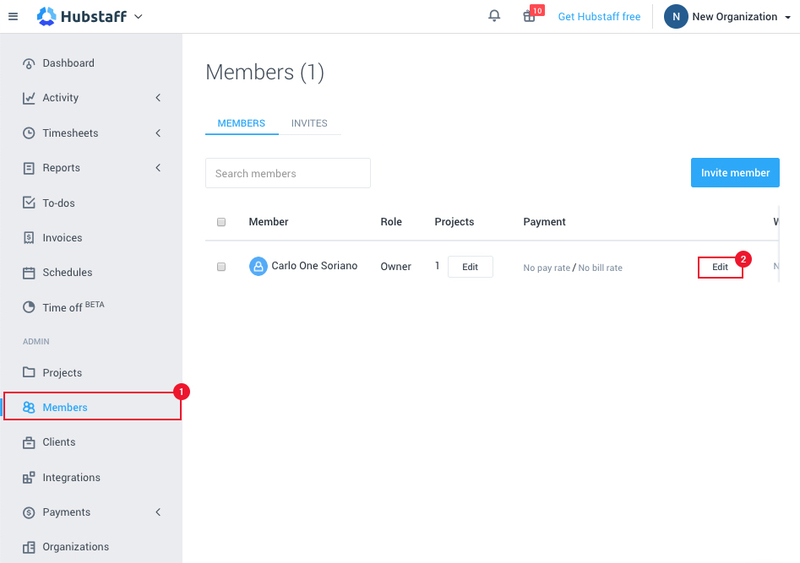 Click on the Members tab and select the Edit button under the Payments section. 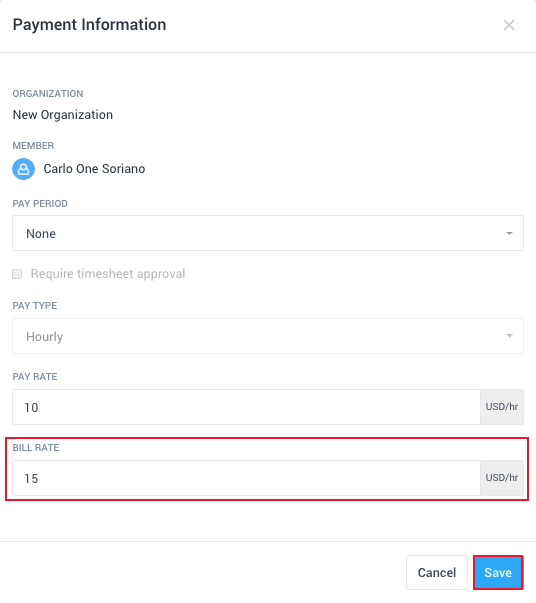 Edit the bill rate that you will bill the client according to the hours worked by the user and click Save.